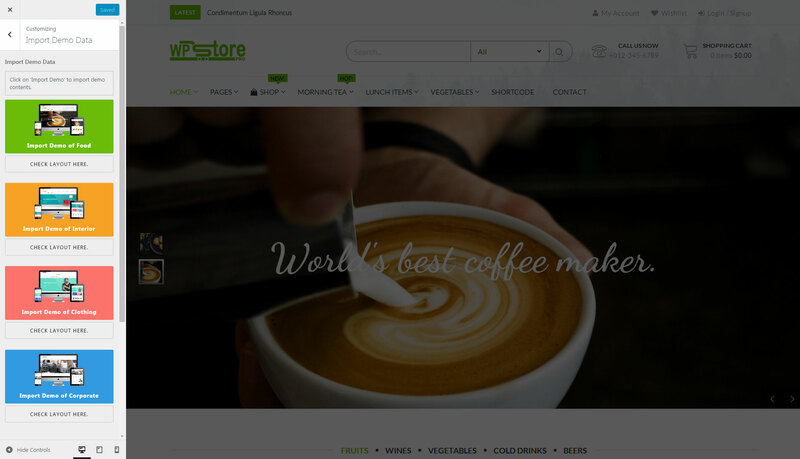 WP Store Pro is a modern and advanced premium WordPress eCommerce/WooCommerce theme. 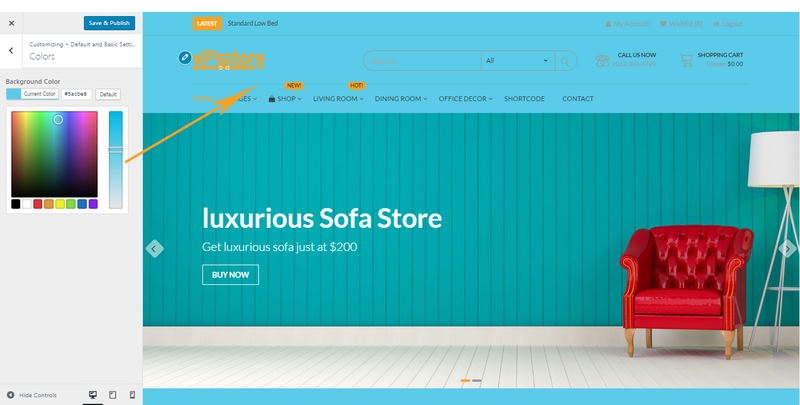 It is a feature-rich online store theme with 4 different elegantly designed layouts. The theme is best suited for all kind web shops such as food and drinks, interiors, fashion, corporate, technology, accessories etc. It comprises lots of customization possibilities and multiple options. You can easily create a complete and successful eCommerce site within few minutes. 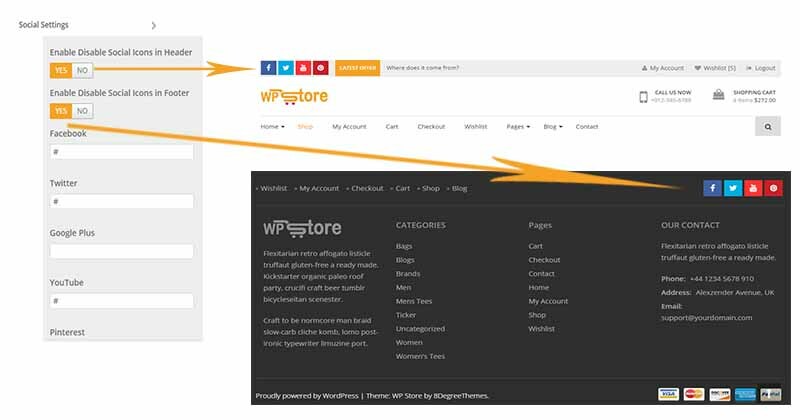 Integrated with the best ever WooCommerce plugin, WP Store Pro offers ultimate eCommerce features and functionalities. Besides, it includes 24 custom widgets, multiple slider options, multiple category display layout, highly configurable homepage sections and much more. It is a fully responsive and SEO friendly WordPress template. Thank you for downloading WP Store Pro theme. If you have any questions that are beyond the scope of this help file, please feel free to email at support@8degreethemes.com Thank you so much! Click on Upload Theme button at the top and browse the downloaded zip file in your computer. Click on Install button and then Activate the theme. 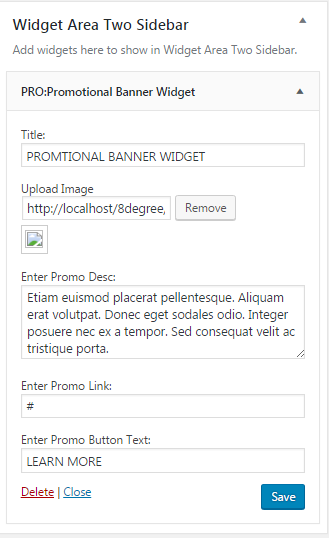 Now, go to Appearance -> Themes in the wordpress dashboard. Then Activate WP Store Pro. Backup your existing theme folder. 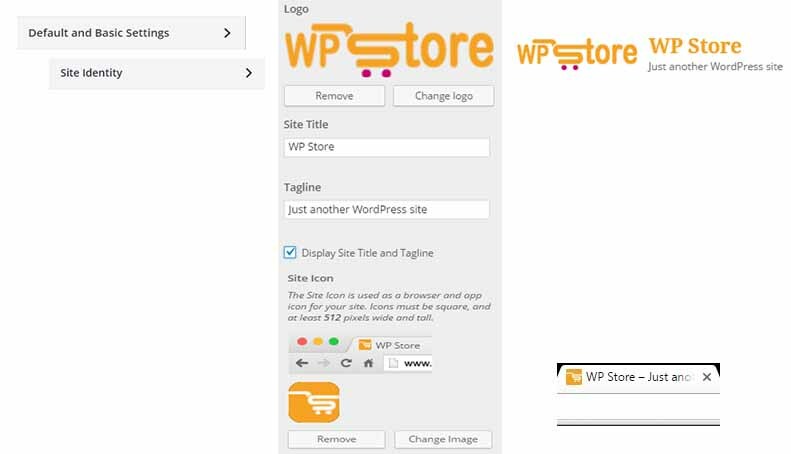 Copy the files inside "wp-store-pro" folder from the zip file of the latest version of WP Store Pro Theme. Enter the theme's admin panel and save your options. Then you can find four different layouts to import demo of. Choose one layout whose demo you prefer to import in your system. Click on the respective image, then it will prompt you "Are you sure to import dummy content? It will override your content." When Your Demo Data have Import Successfully then you will receive a Popup Message "Demo Data Successfully Imported". Note :- Demo Import shall be done on Fresh WordPress Installation as it might overrite your data. We will not be responsible for your loss. It might take few minutes for importing the demo contents so please have patience. The importing demo will override the existing customized themes options settings which are irreversible so please proceed with caution. 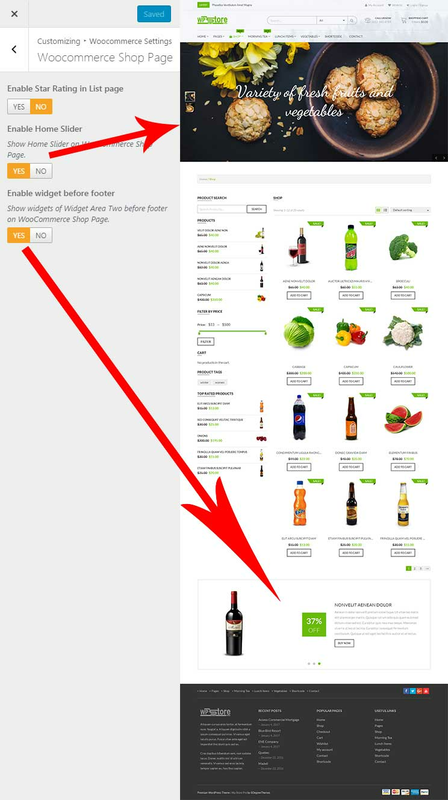 Make sure that Woocommerce plugin is installed before you import content for store except "Corporate". It is listed in required plugin and will be shown as soon as you activate the theme. It will replace all the main primary colors within the theme including text colors and all, like as shown in image below. It will replace all the light primary colors within the theme like as shown in image below. It will replace all the secondary colors within the theme like as shown in image below. Choose Theme Light Primary Hover Color. It will replace all the primary hover colors within the theme like as shown in image below. Choose Theme Slider Text Color. It will replace the slider text colors within the theme like as shown in image below. Create a Page (for your home page). Enter the Title (e.g. 'Home') and and assign the page with 'Home Page' Template. Now Go to Dashboard > Settings > Reading. Set 'Front page displays' option to display 'A static page'. Then Select the Page (home page created with 'home page' template) from 'Front Page' Drop Down List. Now configure the home page sections. Choose image for Site Icon. Choose Background color of your site. Select the header image for background of header section. Choose Image to add image in Background of your site. Add a new page and select its template to Homepage (which is provided with theme.) (According to new guideline of wordpress we can't have front page that loads automatically when you install the theme.) and save it. Choose Static Page and select the page you just created from the dropdown. Then you can manage everything from there only. 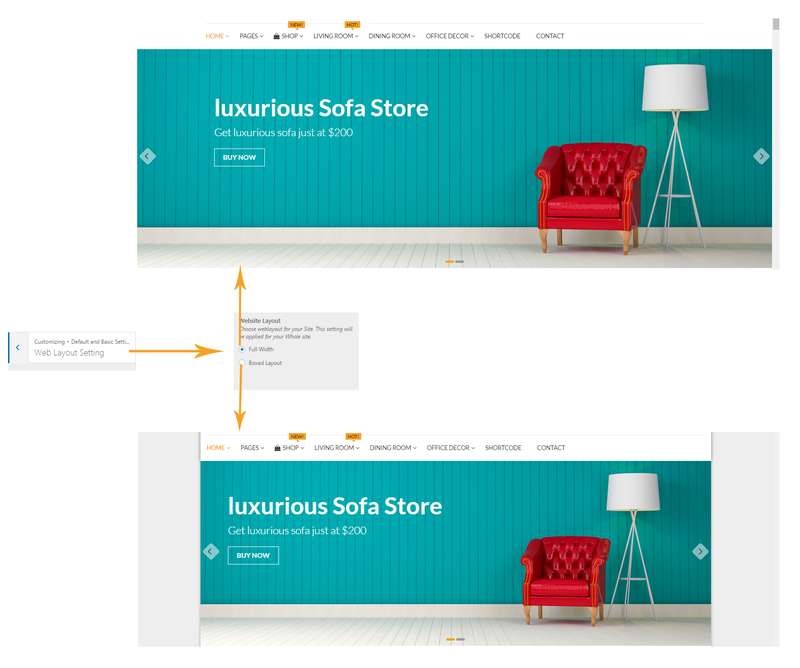 Choose Boxed or Fullwidth Layout for your site. Here you will need to set up the settings for header. Here you can set up the settings for homepage. Select category to show the posts in Slider. Choose Yes to show Promotional Block Section on Homepage. Choose Category to show the posts in Promotional Block. Choose Yes to show Widget Area 1 Section on homepage. Choose Yes to show Call to Action Section on Homepage. Select the CTA section image. Choose Yes to show Product Section on homepage. 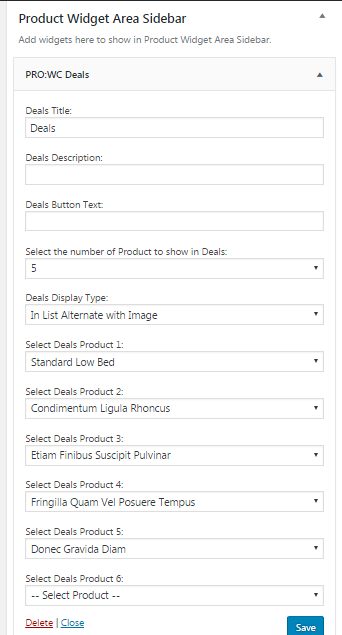 Then, Add widget to ‘Product Widget Area’ that you want to show in Product Section on Homepage. Choose Yes to show Widget Area 2 Section on homepage. ​ `Enable/Disable Widget Area Full Width. Choose Yes to show Blog Section on Homepage. Choose Category to show posts in Blog Section on Homepage. Choose Yes to show Widget Area 3 Section on homepage. 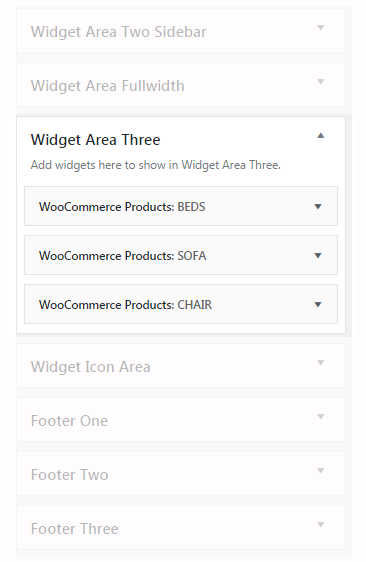 Then, Add widget to ‘Widget Area Three’ that you want to show on Widget Area 3 Section on Homepage. Then, Add text widget to ‘Widget Area Three’ that you want to show on Widget Area 3 Section on Homepage. Choose Yes to show Brand Section on Homepage. Choose category to show post in Brand section on homepage. Here you can set up the settings for Shop / Products page. Choose Yes to show homepage slider on Woocommerce Shop Page. 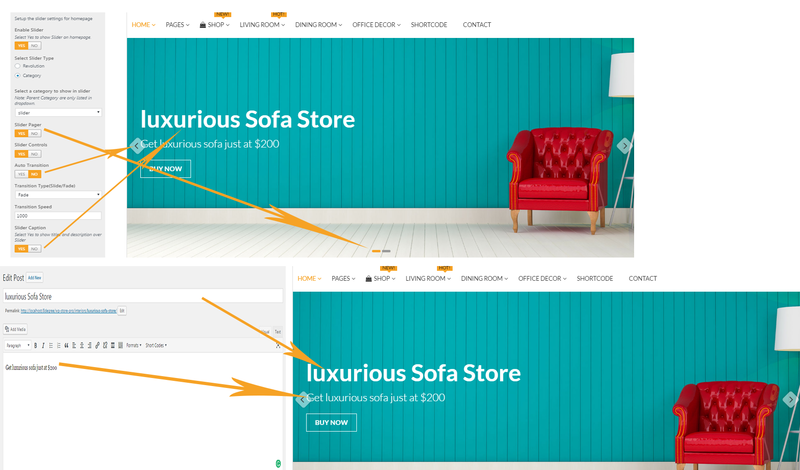 Choose Yes to show Widget Area Two before footer on Woocommerce Shop page. 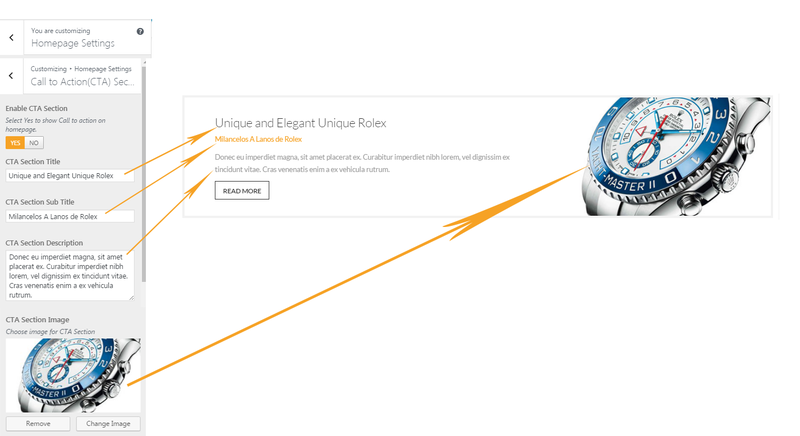 Choose fallback image so that if the product doesn’t have featured image then this custom placeholder image will replace the product's image on Woocommerce Shop page. Choose the number so that the no. 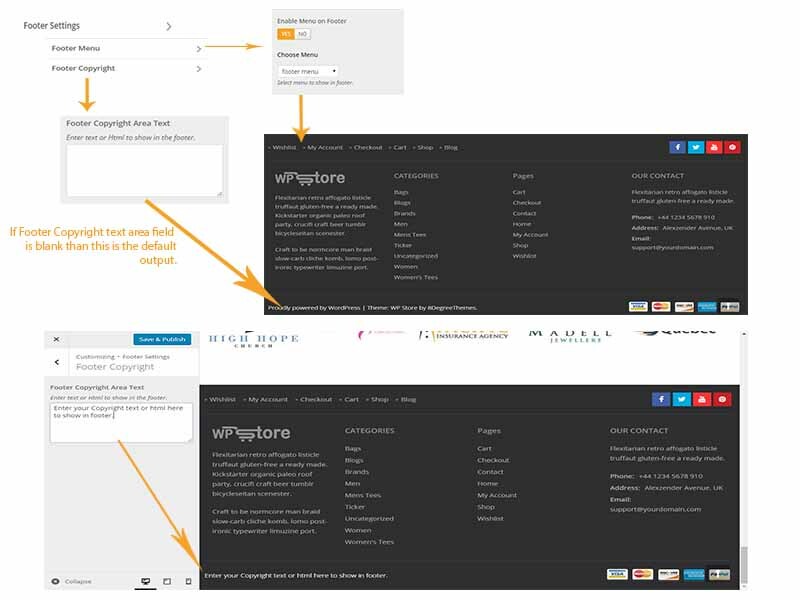 of products will be displayed in a row on Woocommerce Shop page. Select the total no. of products to display on Woocommerce Shop page. Choose Yes to show homepage slider on Blog Page. Choose Yes to show Widget Area Two on Blog Page before footer. Choose page layout that you want on Blog Page. Choose post layout that you want on Blog Page. Add text in Read more text field. Choose Yes to show homepage slider on Single Page. Choose Yes to show Widget Area Two on Single Page before footer. Choose page layout that you want on Single Page. Choose Yes to show homepage slider on Single Post. Choose Yes to show Widget Area Two on Single Post before footer. Choose page layout that you want on Single Post. Choose Yes to show homepage slider on Archive Page. Choose Yes to show Widget Area Two on Archive Page before footer. Choose page layout that you want on Archive Page. Choose post layout that you want on Archive Page. Choose Yes to show Menu at top left of footer. Choose Menu to Show in footer. Enter the copyright text in html to display in footer. Select Yes to show Social icons in header. Select No to show Social icons in footer. Enter links of social sites. Enable the above option to show. Upload images of other ssl to show in footer below the copyright text. Add Menu for your site. Select the main menu as Primary menu after creating it. Add js code in Custom JS Code textarea field to add some jquery actions.